The QUICK TURN 100MSY CNC turning center with Multi-Tasking capability brings together advanced technology, productivity and value to deliver exceptional performance for shops large and small. With its (MSY) configuration, this machine offers the greatest versatility available in the QUICK TURN series. The machine features milling capability and Y-axis functionality as well as a second turning spindle to process parts in DONE IN ONE® operations. 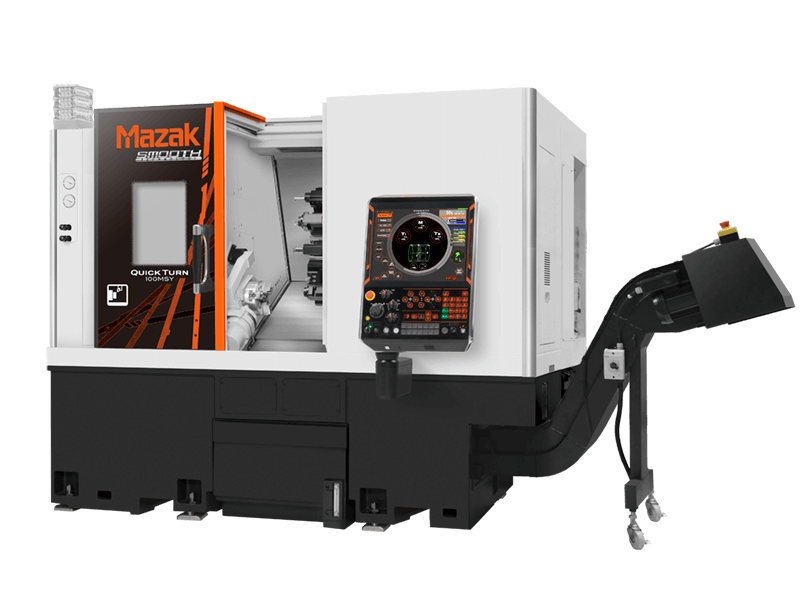 In addition, the machine comes with a SmoothG CNC that features MAZATROL conversational programming, monitoring, diagnostics and EIA-ISO programming as standard. For fully automated operations, the machine can accommodate a bar feeder or gantry robot loader.